For radiology departments, medical waste removal plans must involve managing analog x-ray waste. Medical waste producers, including hospitals, private practice offices, dental facilities, and even veterinary offices must have a medical waste removal plan to keep staff and patients safe, healthy, and free from contamination. This process includes having a program in place for removing and disposing of sharps, surgical instruments, bandages, one-time use medical equipment, just to name a few. 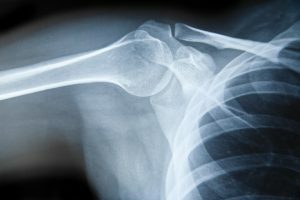 For radiology departments, medical waste removal plans are a bit more complicated when it comes to dealing with a popular and necessary diagnosing tool: x-rays. While many medical offices are moving towards digital x-ray machines, analog machines generate dangerous chemicals that must be dealt with and handled in a manner that is not only compliant, but protects users and the environment. What, exactly, are the dangers of x-ray medical waste? X-ray fixer, or x-ray fixer solution neutralizes any developer remaining on the film, removes undeveloped silver halides, and hardens the emulsion. What makes it dangerous is its chemical makeup: it contains high concentrations of silver, typically 3,000 to 8,000 mg/l of silver. Because of this silver content, used x-ray fixer must be managed as a hazardous waste. Used fixer cannot be poured down the drain or disposed of as regular solid waste. X-ray developer contains a chemical known as hydroquinone, which is a highly toxic substance. It is a skin irritant, and when exposed improperly, persons can develop symptoms such as dizziness, headache, nausea, vomiting, lack of oxygen in the blood, and any dust that gets in the eyes can lead to impaired vision, among other injuries. Only UNUSED developer is toxic; once it has been used, it is safe to dispose of in the sink or toilet. Used x-ray film also contains silver, just like x-ray fixer. If the concentration is high enough, it is considered hazardous waste and must be treated as such. It is best disposed of through silver recycling. Yes, even the protective equipment against x-ray radiation is toxic, and these items do not belong in the regular trash, rather the biomedical waste red bag. Many suppliers or the original will take aprons and gowns no longer required for recycling or proper disposal. Despite the move towards digital, many facilities still use analog x-ray machines. Let MedXwaste be your industry expert on the management of biohazardous waste management programs, including x-ray waste.